Visitors to Downton, 5 miles from Salisbury, will see a long, wide street of mainly thatched cottages, the remains of the planned medieval new town. 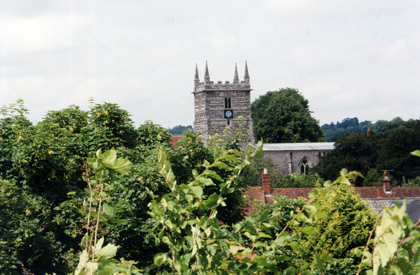 From The Borough go over the River Avon bridges into the original High Street, where the interesting church of St Laurence is situated. All well worth seeing, and hearing about, but the finest secret remains – nearby is Downton Moot, 12C earthworks, developed into a wonderful garden in the 18C, which fell into disrepair and was finally rescued and restored to glory by the Downton Moot Preservation Trust.